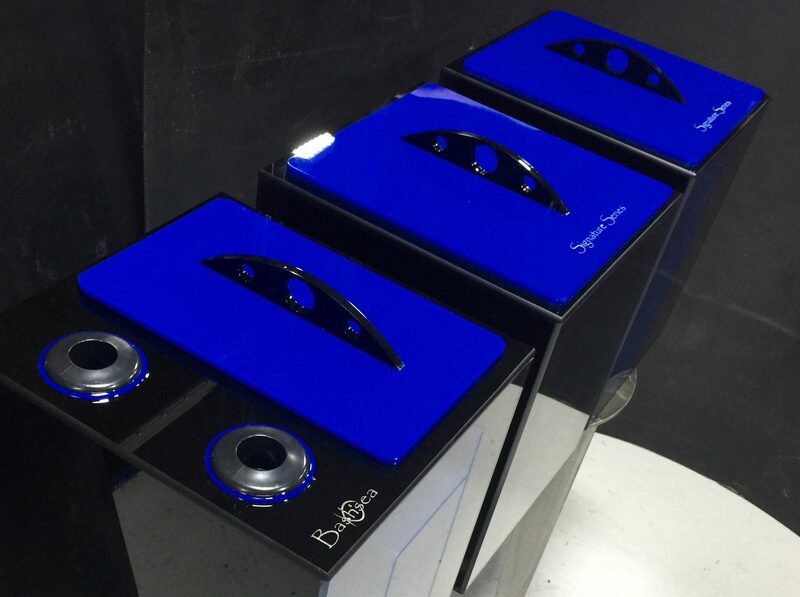 The Bashsea Trifecta Sump, now a reality. 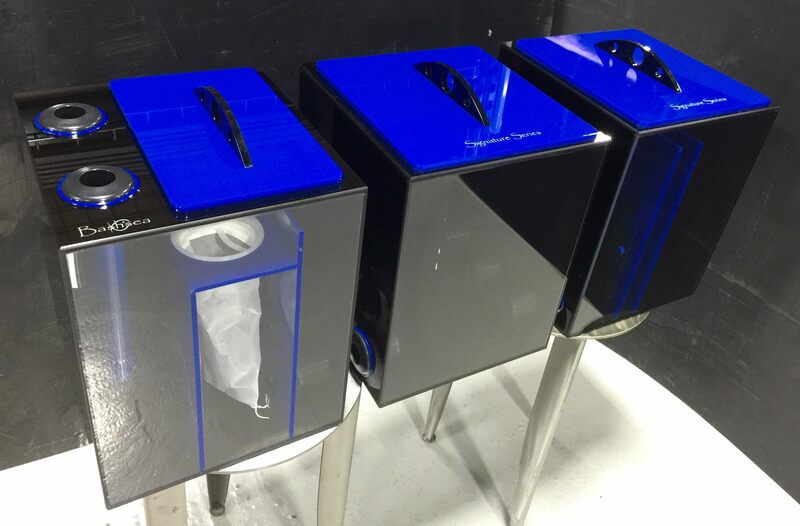 This custom Bashsea signature series trifecta sump system is on its way to California. It addresses the age old problem of getting a big enough system in a stand around its supports. The first sump contains the drains that overflow into two Bashsea ss-200 nylon socks. First chamber includes mechanical sock filtration with easy access for sock removal. The water then travels into the second chamber where the protein skimmer will be placed. 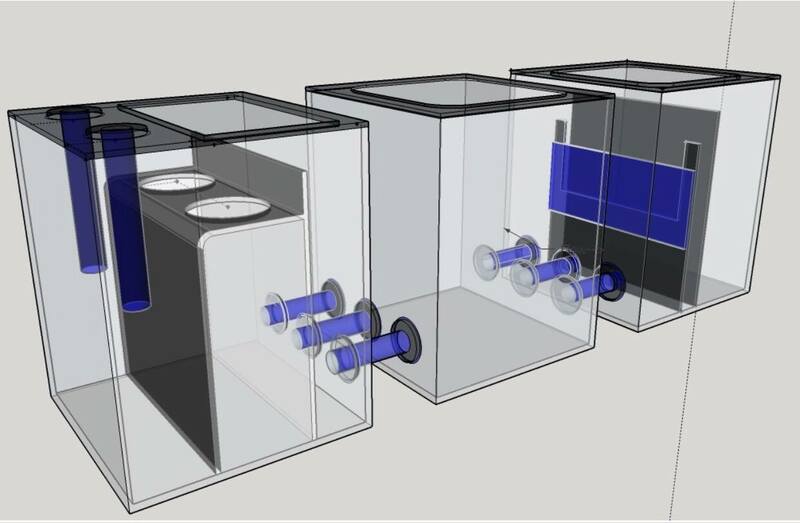 The last chamber has an adjustable slide which will adjust the water level in the middle chamber for the skimmer to be dialed in. 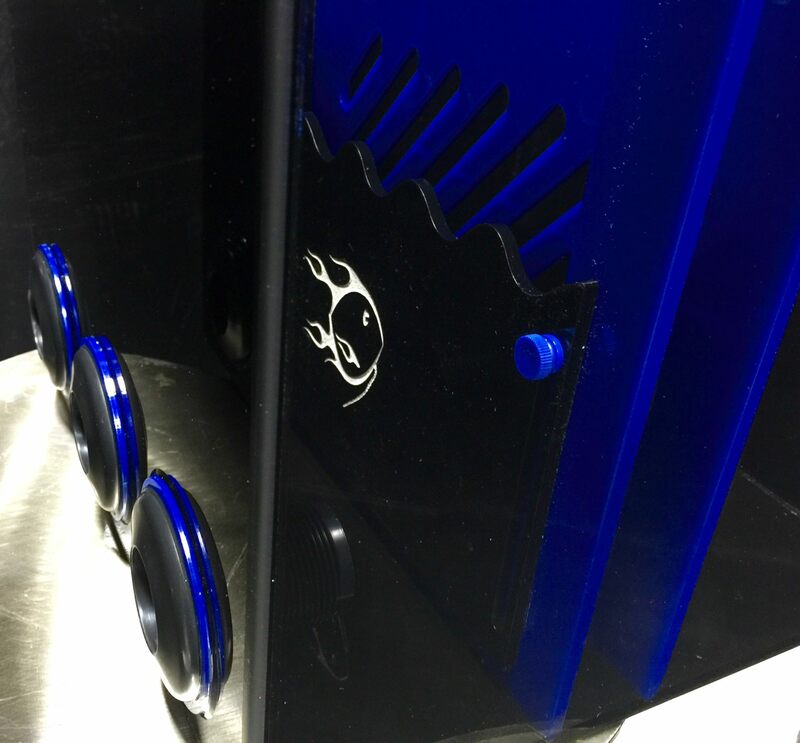 The last chamber also contains one last baffle to stop any last micro-bubbles and has a dedicated pump out chamber. Baffle and water level control on the last sump chamber. Each chamber connects to the other via true union fittings making installation extremely easy and leak-proof. This also makes removing the system a five minute project—no cutting or tools whatsoever. 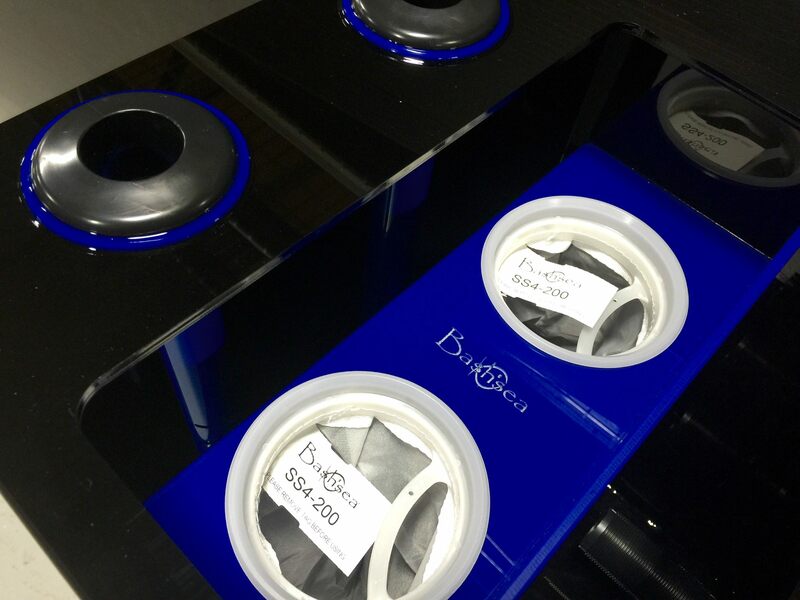 Each chamber features a full form fitting lid and cord control built into the chamber’s top trim for a clean install and silent operation! Form fitting lids on all 3 sump chambers. Sump perfection and performance!… If you can dream it, Bashsea can build it!